The Epilog Laser is an excellent tool for making all sorts of gifts. You can use it to create a card by etching custom designs into paper. You can make a memorable gift by laser-engraving drinking glasses, water bottles, or even salt and pepper shakers. 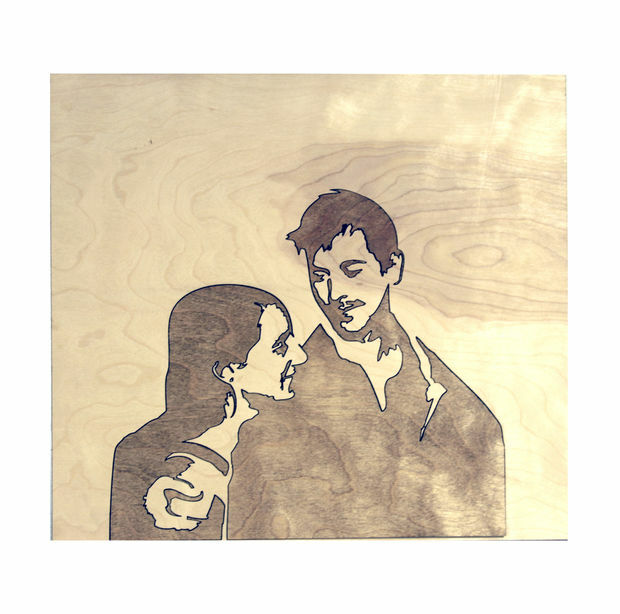 You can even create a one-of-a-kind portrait by creating a silhouette etching on wood from a photograph. Take the one-hour Epilog Laser check out class (Saturdays from 12-1 and Mondays from 5-6), and you’ll learn everything you need to know to be able to operate the laser cutter on your own. If you have questions about a project or just want to bounce ideas off someone with experience, stop by the shop anytime during business hours and staff will be happy to help.